Automatic Performance: The Fuse hearing aid allows users to seamlessly move between varying hearing environments without having to make any manual adjustments to his or her hearing aid. Users can move from a loud environment to a quiet one, with ease. Excellent Speech Clarity: Users are better able to focus on speech sounds, even in noisy environments. This can help make in-noise conversations a much easier task. Noise Reduction: This feature helps ease the user’s listening fatigue in noisy situations. The sound of traveling in a car, or eating in a loud restaurant can become very cumbersome, but the Fuse hearing aid makes them much more enjoyable. Excellent Venting: Whenever something is placed in the user’s ear, his or her voice sounds less natural to themselves. With the Fuse hearing aid’s venting, the user can wear the device, and his or her voice will continue to sound normal. This feature makes the Fuse hearing aid much more comfortable to wear. Automatic Program: This intuitive feature automatically determines the appropriate listening program for a given sound environment. This eliminates the needs for users to make any manual adjustments to his or her listening device. 3 Manual Programs: If users choose, the Yuu hearing aids are also available with three different manual programs, to suit the user’s needs in just about any listening situation. Adaptive Directional Microphones: This feature is designed to improve the user’s in-noise speech hearing and understanding by allowing users to focus on the sounds in front of them, while decreasing the amount of noise heard to the side and rear. Feedback Management System: This feature automatically suppresses the annoying whistling that can sometimes occur in some hearing devices, especially while talking on the phone. With this feedback eliminated, users are better able to enjoy his or her conversations on the phone. AutoPro 2: This feature allows the user’s hearing aid to automatically switch to the most appropriate listening program on the hearing device depending on the user’s listening situation. With this feature, users will need to make far fewer manual adjustments to his or her hearing aid. Adaptive Directional Microphones: See Next 16, above. Speech Enhancement: This feature pinpoints speech sounds in the user’s listening environment, and emphasizes them, making them easier to hear. At the same time, background noise is dampened, further improving speech hearing and understanding. Noise Reduction: This feature can help make noisy situations more comfortable for the hearing aid wearer. Consistently noisy situations, like driving in a car, or eating in a crowded restaurant, are made more pleasant, as the persistent sounds of these environments is softened. Speech Enhancement: See Next 8 for a description of this feature. Noise Reduction: See Next 8 for a description of this feature. Feedback Management: See Next 16 for more information about this feature. Feedback Management: See Next 16 for more information about the Next series Feedback Management system. Intelligent Sound Classifier: This feature analyzes sound in the user’s environment and automatically determines the hearing aid settings to apply for the best listening experience possible. 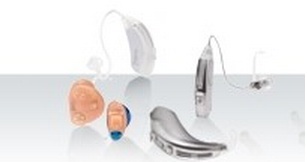 Sound Destination: Several included sound destinations in the Indigo hearing aids allow users to choose the most appropriate settings for his or her hearing aid in a given situation. These sound destinations include Quiet Desination, Group or Party Noise, Intense Noise, and Music. The Element hearing aids are high-quality hearing devices designed to provide users with the best sound quality, and the easiest listening experience possible. With three available performance levels, users can choose a hearing aid with the features they need, and none that they do not. The 3 levels of Element hearing products include the Element 16, the Element 8, and the Element 4. Each performance level is available in multiple hearing aid styles, including Receiver-In-The-Canal (RIC), Behind-The-Ear (BTE), In-The-Ear (ITE), and Completely-In-The-Canal (CIC). The Element 16 is the series’ most advanced hearing aid. It is designed for individuals who interact in a variety of different listening environments. It provides users with automatic adaptations to his or her environment, eliminating the need to make numerous manual adjustments to the hearing device. The Element 8 is a hearing product designed for individuals who spend time at home, as well as in other varied listening listening environments. The Element 4 is ideal for those who spend the majority of his or her time at home, and in other quiet listening environments, where hearing is not quite as difficult. The Unison hearing devices are Unitron’s high-quality digital hearing aids designed to provide users with excellent hearing in a variety of different listening situations. Unison hearing aids are available in a variety of different styles to suit the needs of almost any user’s personal preference. The different styles of the Unison hearing aid include Behind-The-Ear (BTE), In-The-Ear (ITE), Receiver-In-The-Canal (RIC), and the very small Completely-In-The-Canal (CIC). Since the Unison hearing aids are available in three different performance levels, users can find a hearing aid with all of the features he or she may need, without the features they do not. This Unitron hearing aid is best for active individuals who spend their time in a variety of different listening environments. 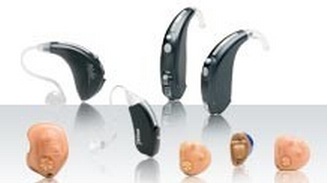 It is designed to deliver excellent sound quality and listening ease in even difficult hearing situations. 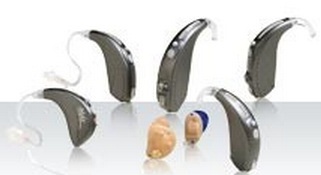 This Unitron hearing aid is ideal for those who are exposed to fewer different listening environments. 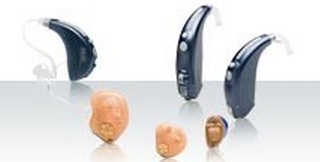 The Unitron hearing aid is the Essential series’ economical hearing device that is good for those who do not spend their time in varying listening environments. This basic hearing product is also perfect for individuals who are transitioning from an analog hearing aid to digital hearing devices. Unitron’s Breeze hearing aids are the company’s affordable hearing devices that provide users with the excellent sound quality and ease of use that consumers have come to expect in a digital hearing aid. It is designed for those with mild to severe hearing loss. Available in a wide variety of styles, users can choose between a Behind-The-Ear (BTE), In-The-Ear (ITE), or Completely-In-The-Canal (CIC) hearing system, depending on their personal preference. 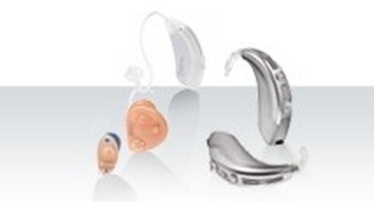 This isn’t the only model we have, see the other Unitron Hearing Aid Reviews.